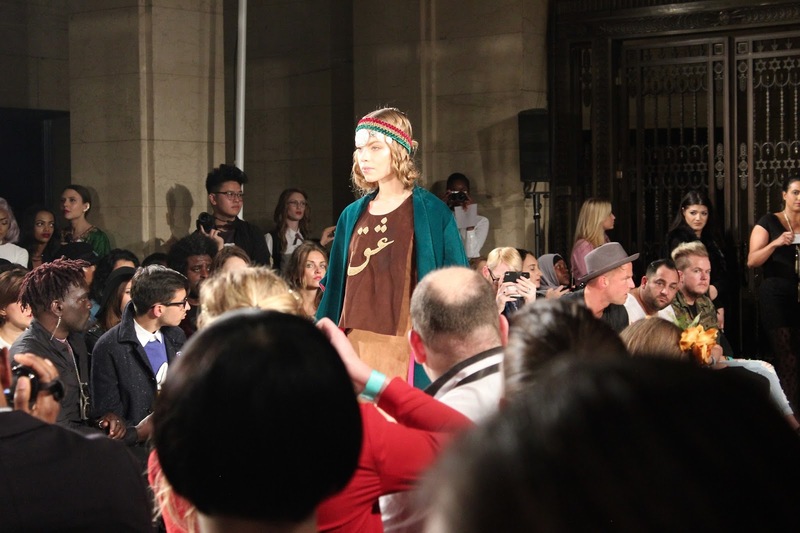 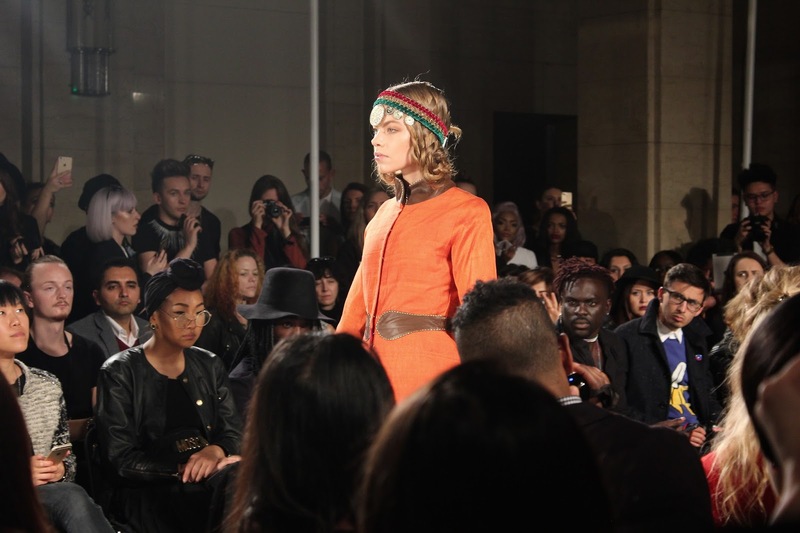 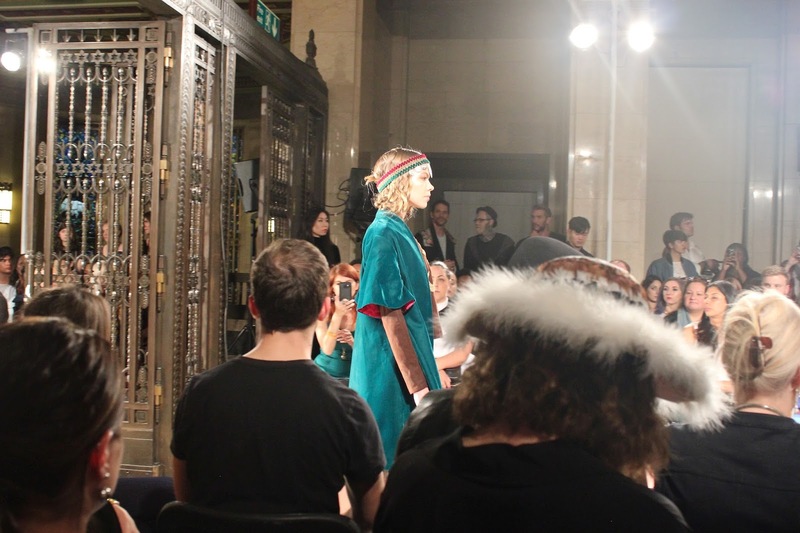 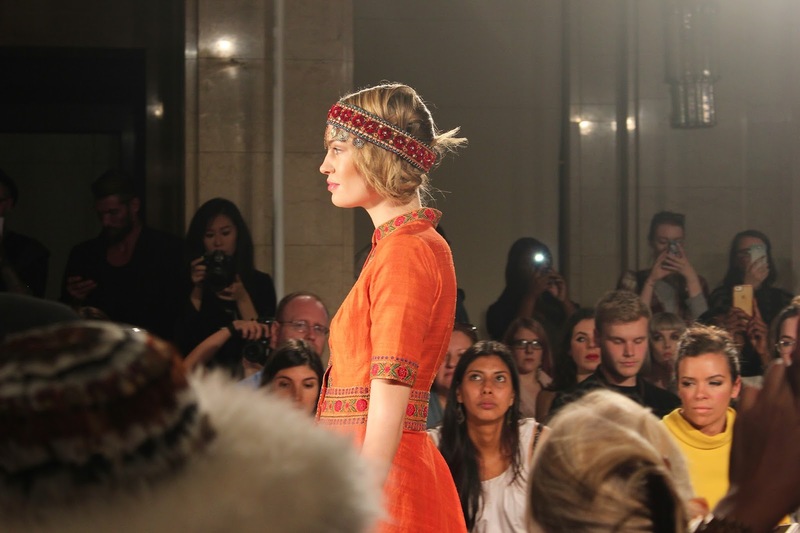 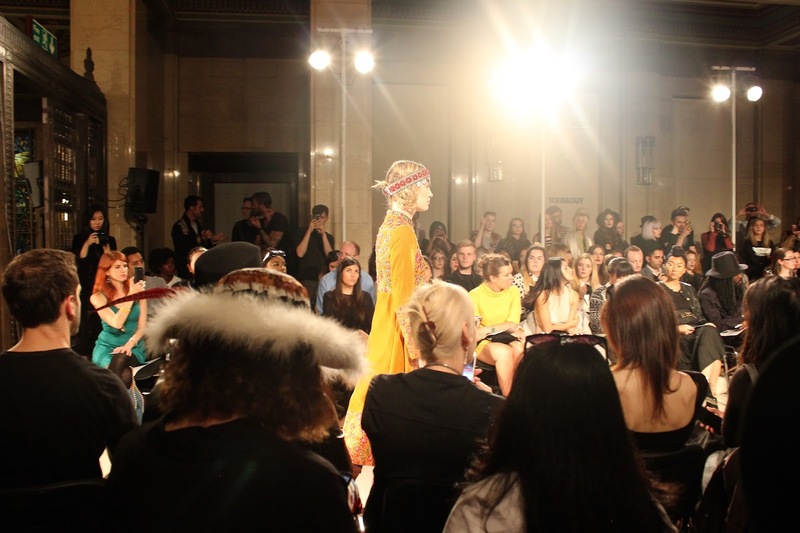 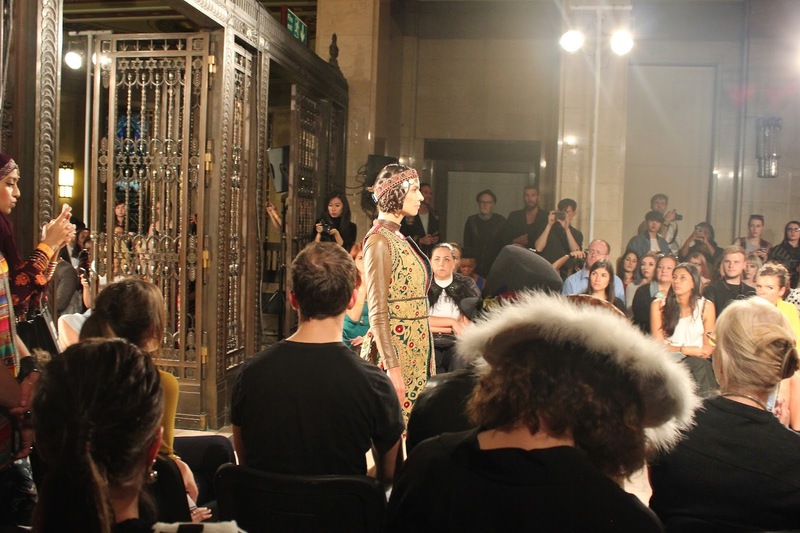 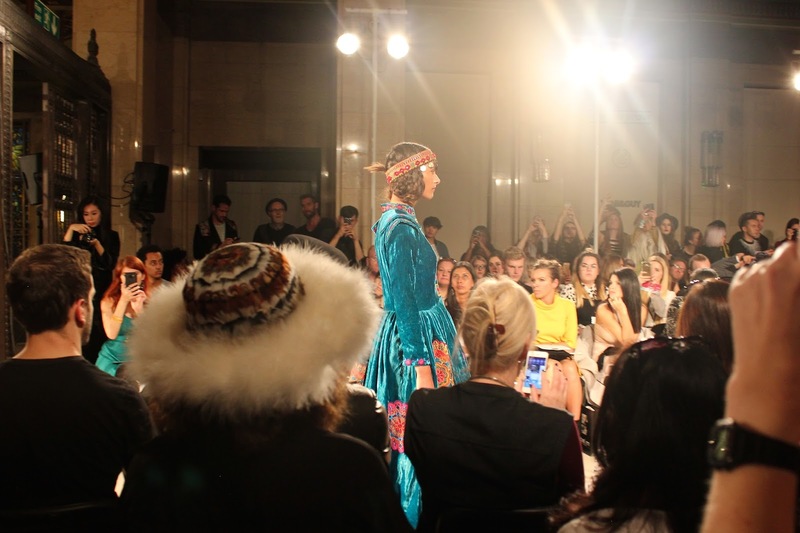 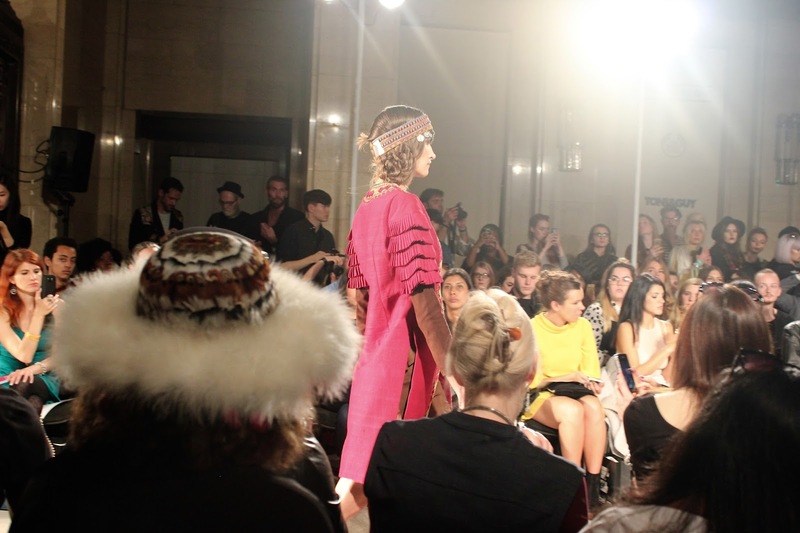 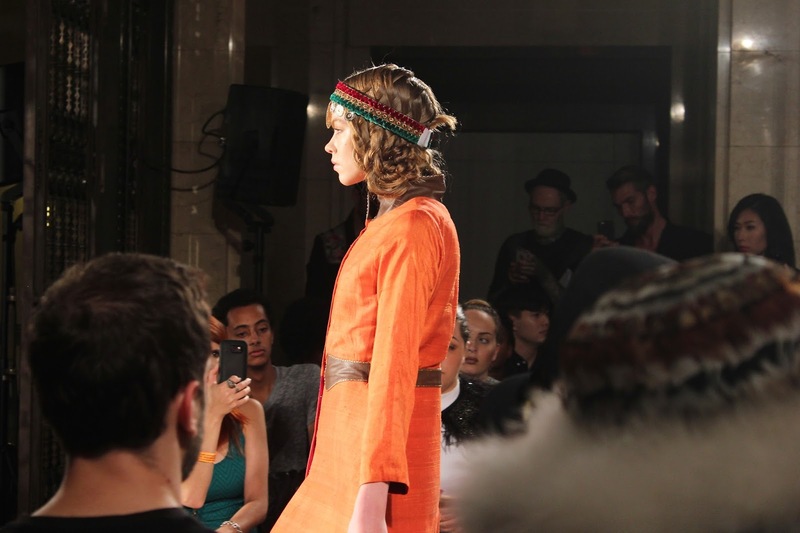 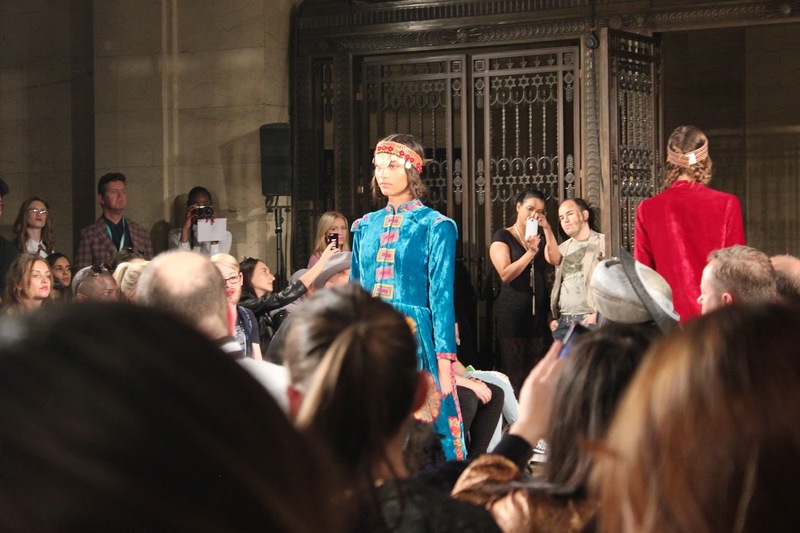 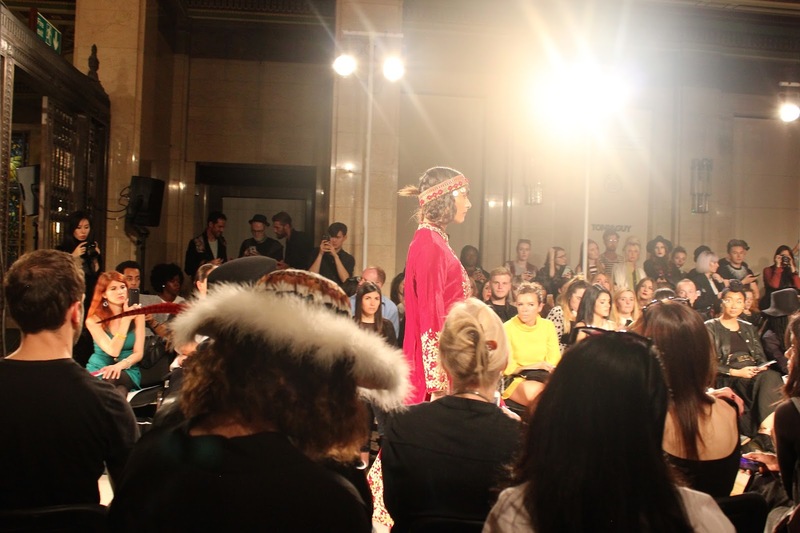 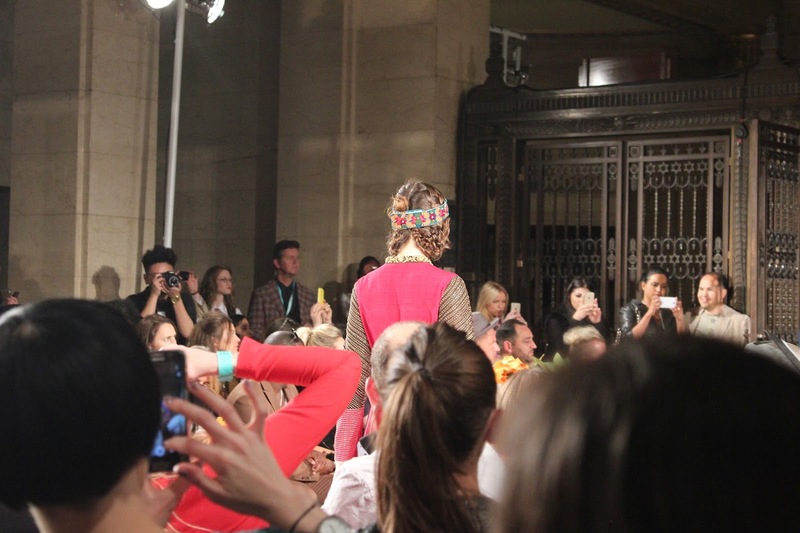 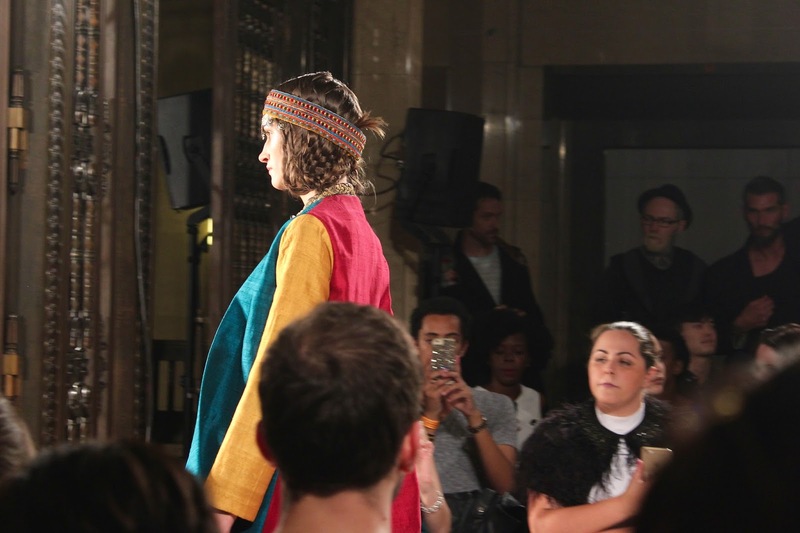 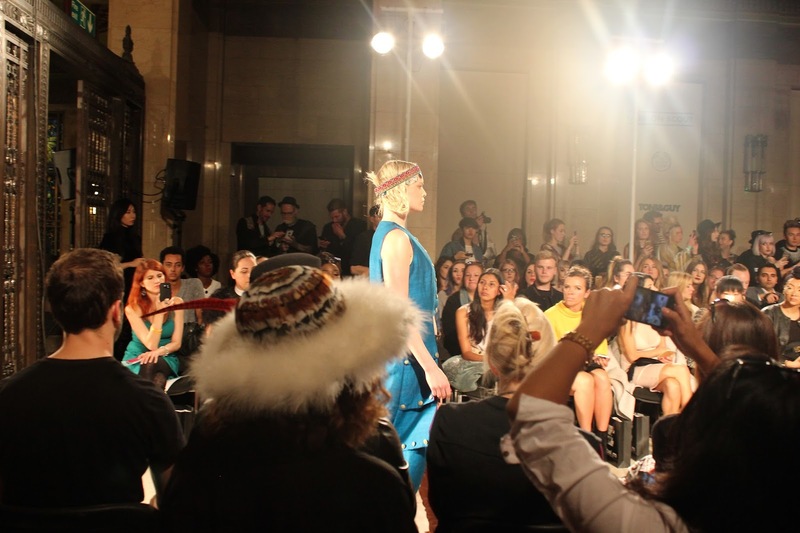 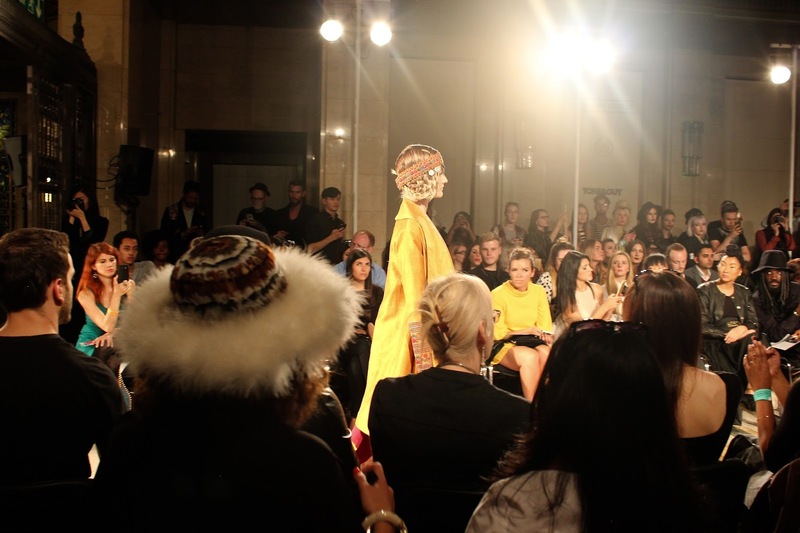 It was all about the Eastern Oriental vibes at Maral Yazarloo. 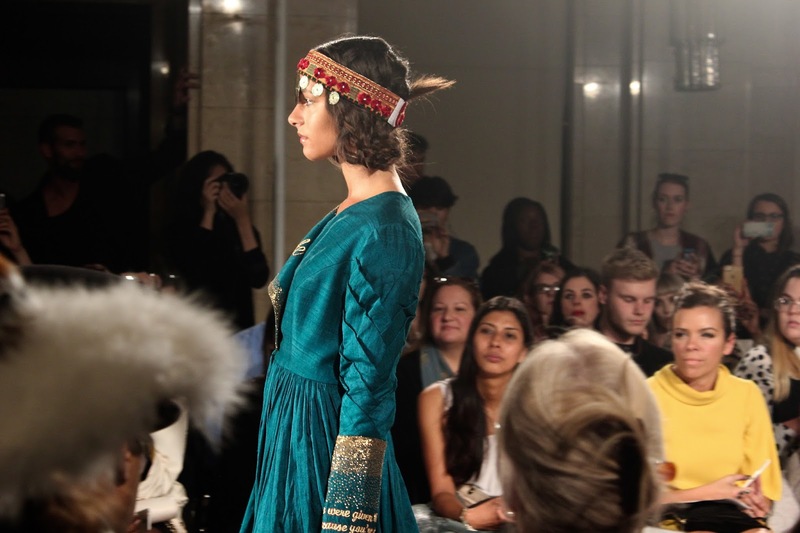 Iranian born and based in India, Maral Yazarloo has the perfect origins to inspire. 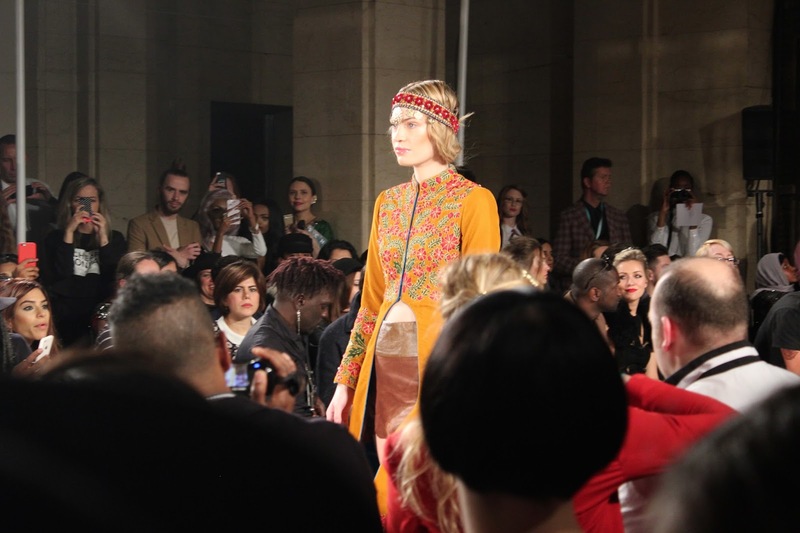 With stunning vibrant colours covering coin embellished headbands, patchwork jackets and embroidered dresses, there was never a dull moment! 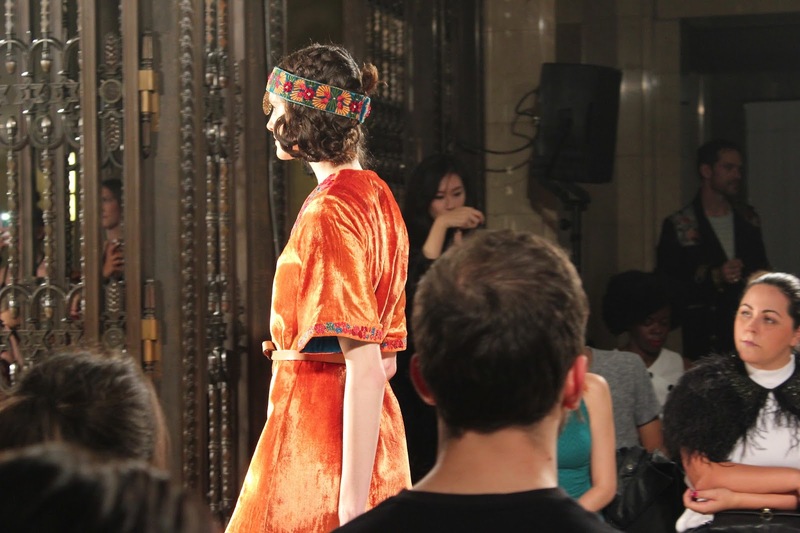 Close up, even the smallest of details were done to perfection- sleeves were circled with gold phrases and florals, and gold top stitching outlined leather waistbands. 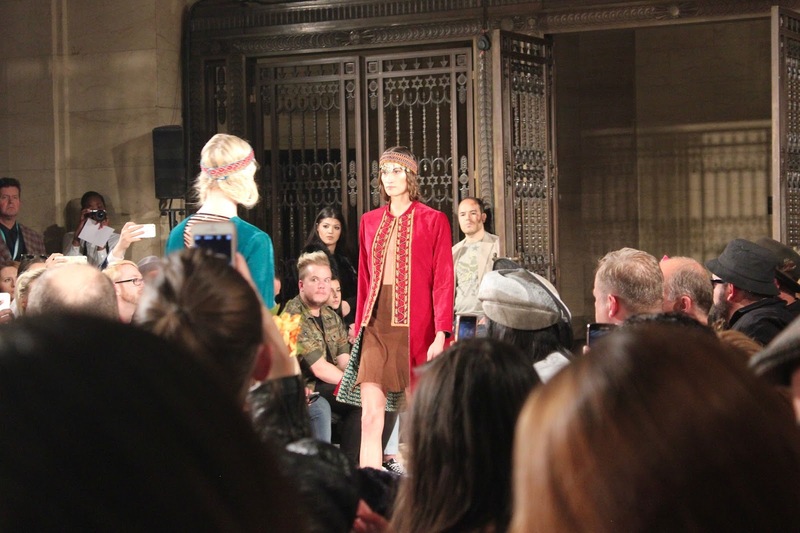 There was also subtle layering with brown sleeves layered under ruffles and brown leather under brocade tunics. 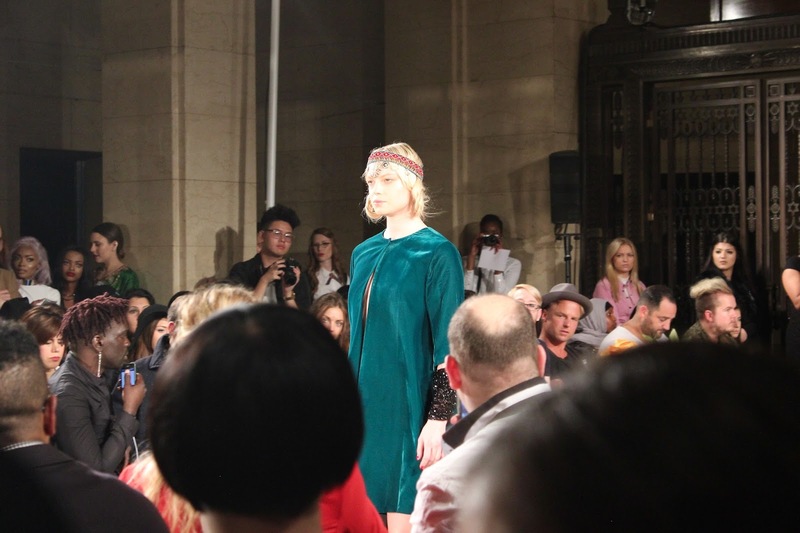 The highlight was definitely the blue velvet gown and even though I can’t stand the feel of velvet, I would love the chance to wear something as beautiful as this!